Ribbon & Stitches is a Louisiana-based cloth diaper retailer with a unique twist! They use all of their proceeds to provide financial assistance to help families who couldn't otherwise afford to start up using cloth diapers! We're putting the spotlight on several wonderful cloth diaper charities as part of our second annual Choose Your Charity Event, which runs from November 10 to 25, 2013 . 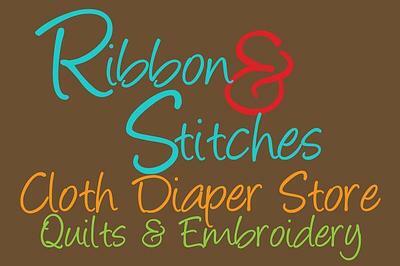 Introducing Ribbon & Stitches, a cloth diaper charity based in Fort Polk, Louisiana. We interviewed Linda Auge, owner of this not-for-profit, as part of our interview series. Ribbon & Stitches mission is to educate families to know that they have options when it comes to diapering their children and to enable families who choose to cloth diaper to be financially independent when it comes to diapering their children. Ribbon & Stitches primarily serves the Military Community of Fort Polk, LA and its surrounding areas. But will also attempt to help anyone who has been referred in by a sister entity (such as Fluffy Wishes or Sweet Cheeks), especially those who may not strictly qualify based on WIC. Since starting in January 2012, Ribbon & Stitches has had 12 families complete and more than 125 families through the education classes. Clients typically qualify by asking. Any family is welcome to the education classes and layaway programs. 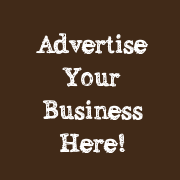 For local families I provide a “Purchase Basket” which is basically a no fee, no interest line of credit where the family gets to put together a personalized basket of diapers and accessories and pay for it over time while still getting to use the basket. I do ask for a couple financial documents, such as an LES or other paystub and copy of WIC or SNAP document, this allows me to ensure that the family can utilize the program and to determine what amount of subsidy is appropriate; I use a sliding scale approach. Ribbon & Stitches provides education through hands on workshops and Try It baskets as well as continuous trouble shooting support through the various forms of communication. R&S purchase baskets provide the financial support of enabling a family to not have the uphill battle of trying to purchase both disposable diaper and cloth diapering while trying to create a cloth diaper stash. Friends can donate funds, diapers or other applicable accessory directly or indirectly, by sending funds or diapers to R&S or purchasing a diaper / accessory and instructing it to be used for subsidized baskets. Indirect assistance can be through any purchase of almost any item in the store, but particularly the Ribbon’s Surprise Box which a person can even designate which charity is to receive the proceeds. All proceeds from the store are designated for one of three locations: Fluffy Wishes, Sweet Cheeks, or local families through subsidized baskets. I started as just doing cloth diapering education. Just enabling families to know that they had choices opened them up to being able to make educated decisions for their families. There was such a huge need in the community that I opened up a physical store. I wanted to ensure that this store stayed true to its roots of helping families so I determined that my business model would act like a not for profit. All proceeds from the sales goes to one of three places; Fluffy Wishes, Sweet Cheeks or subsidized baskets for families in the local community (there is no official 501c here, just me). As we are a military community, my families started PCSing (moving) to other locations around the world and they still wanted to support the work I have been accomplishing, so I set up a website online – which is what you are seeing today. So why not just open another charity closet? Because there is that special feeling you get when the item belongs to you, and when you are finished using them you can pay it forward and feel good about it. This isn’t charity, this is a helping hand, these diapers you will never have to give back, families can stand a little taller and be proud that they were able to accomplish the mission themselves of taking care of their little ones. The enormity of the feeling of being able to accomplish the mission of caring for one’s own children without continual support is priceless. Linda, your business model is amazing! Thank-you so much for sharing more information about your business, and for all of the selfless work you do to help others!